For critical broadcast applications, AJA openGear compatible converter cards provide the highest levels of quality and reliability for use in openGear frames including the new AJA OG-X-FR. AJA offers cards for infrastructure, HDMI/SDI conversion, Fiber conversion and scaling. 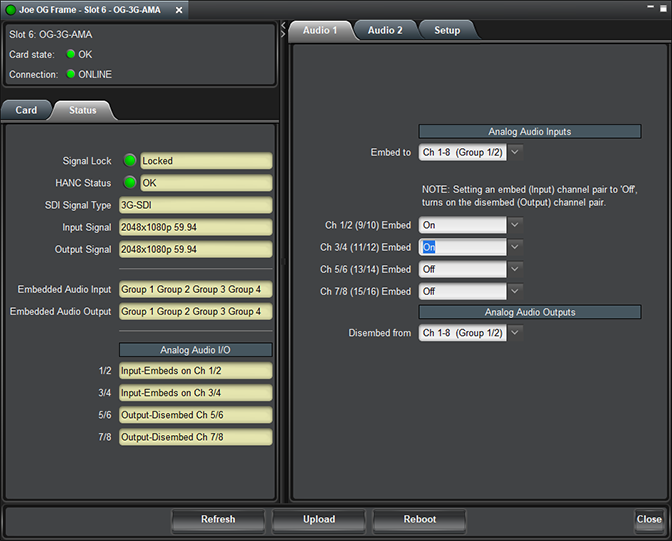 All new AJA openGear are DashBoard software compatible, allowing easy configuration and control. DashBoard is the one control system that unites openGear. DashBoard offers setup, real-time control, monitoring, and tools for creating customized workflow through CustomPanels. The optional Advanced Networking controller features DataSafe, which automatically saves and restores settings if a module is swapped. 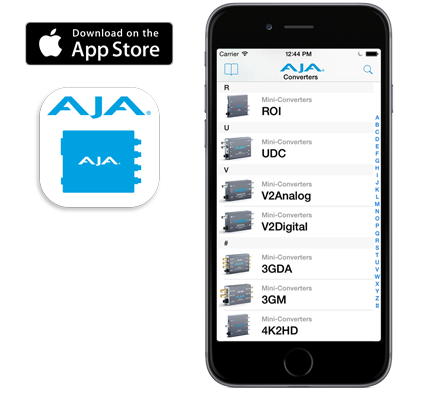 Mini-Matrix offers information on the complete line of AJA openGear converters as a convenient search tool, available online and as an iOS app. The AJA Converter product line is extensive and this app helps you find the right converter for any situation, wherever you are. Please click here to use Mini-Matrix to help find the AJA openGear converter you need.